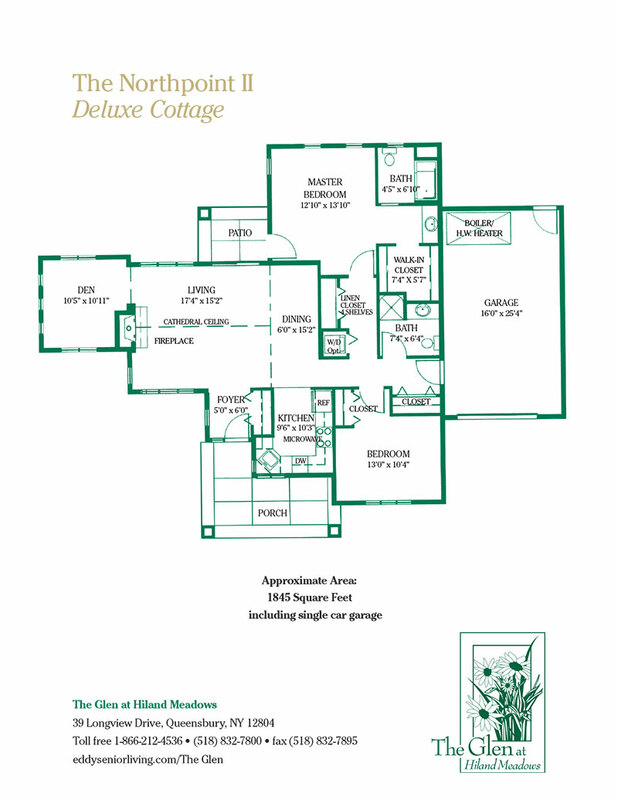 The Glen at Hiland Meadows is located on 45 breathtaking acres in Queensbury NY. 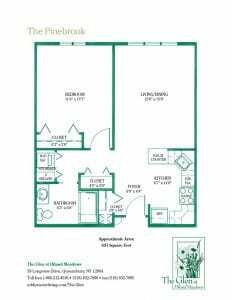 Our senior apartments in Queensbury offer beautiful mountain views and are located just minutes from the Glens Falls area and the Adirondacks. 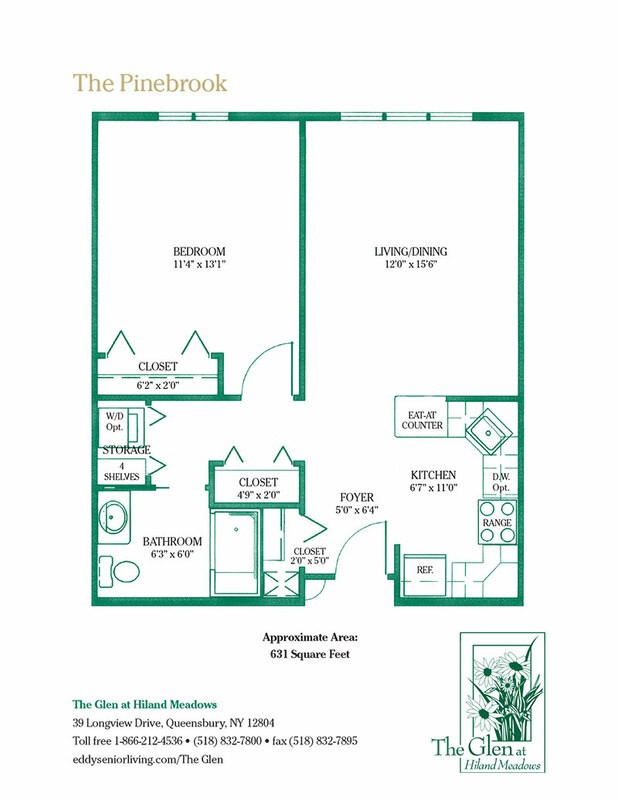 Featuring 74 one and two bedroom apartments for seniors and 18 two bedroom cottages, seniors at The Glen can enjoy an array of amenities and services, designed to provide low maintenance independent senior living. 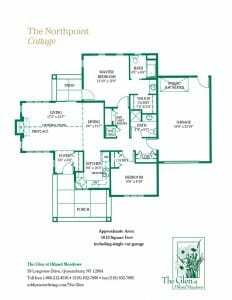 The services available allow you to spend less time and energy on home maintenance and allow you to spend your time doing the things you love most. 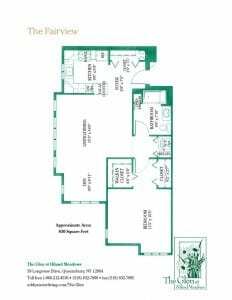 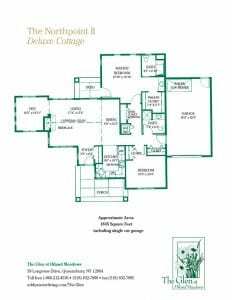 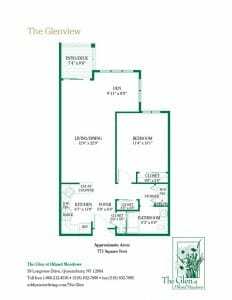 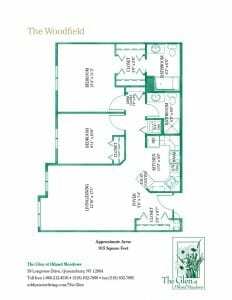 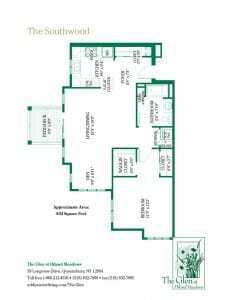 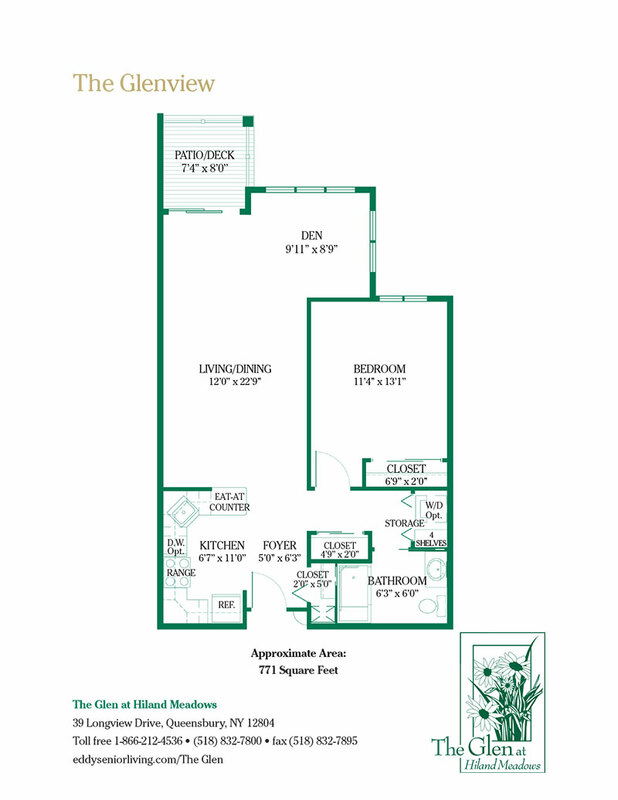 We invite you to browse the floor plans below. 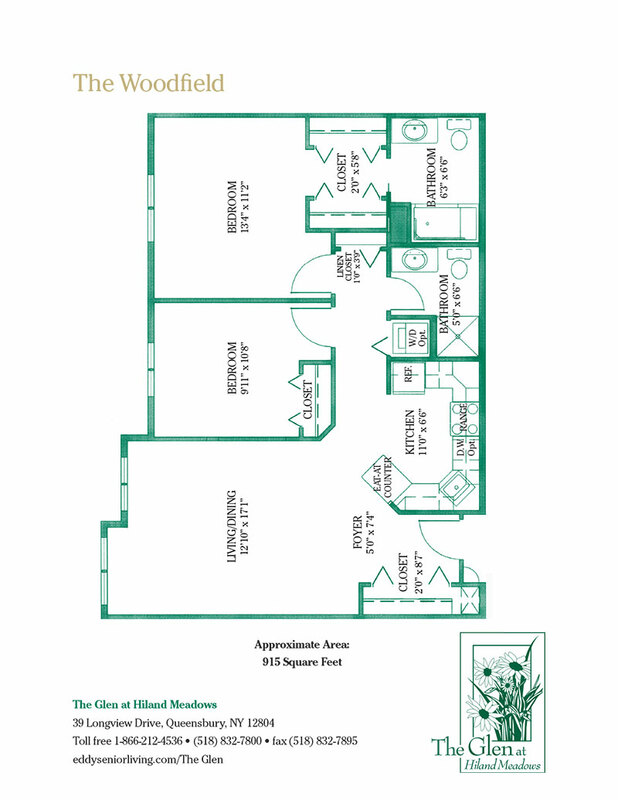 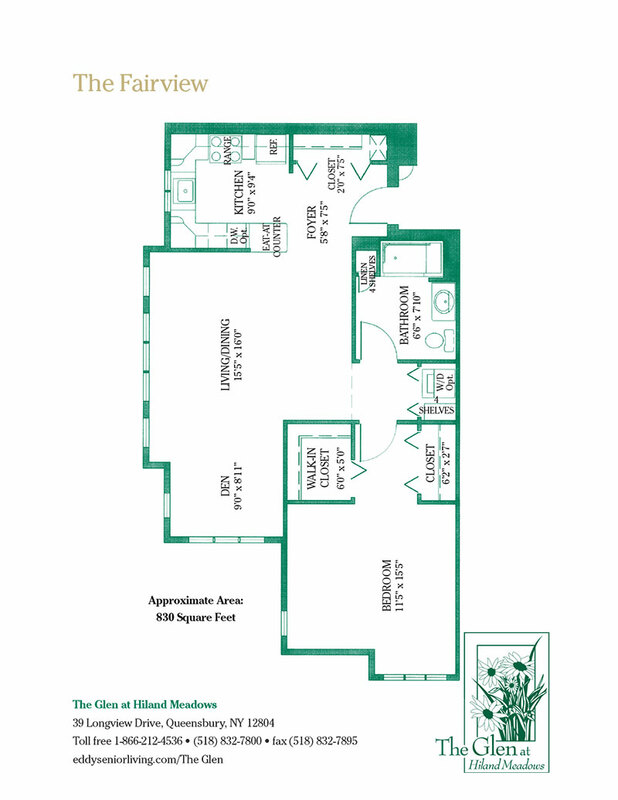 You can also browse our floor plans as a PDF here. 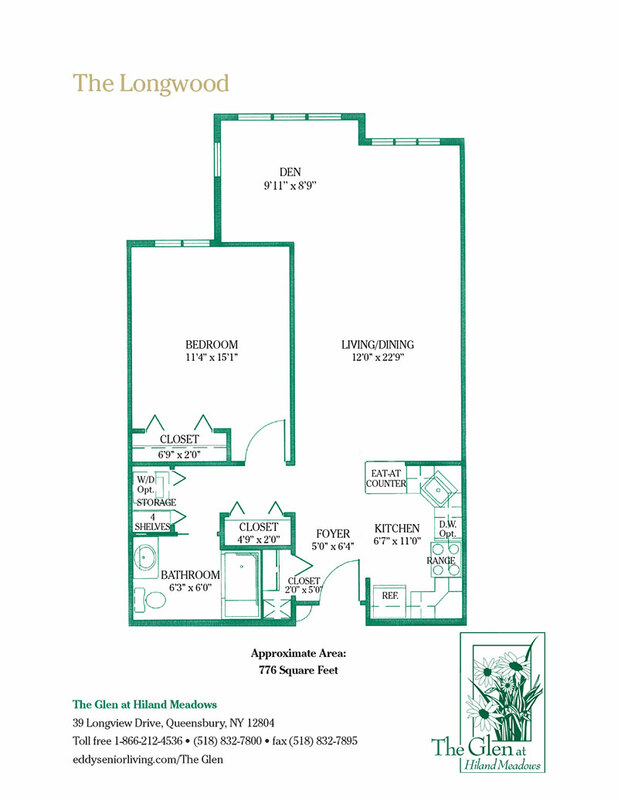 Contact us today and schedule your tour of our energetic independent senior living community in Queensbury! 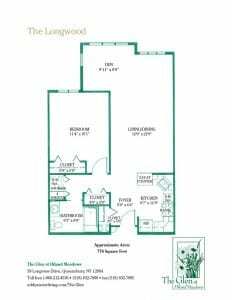 Experience the lifestyle that so many of our residents enjoy and see for yourself what makes our upscale senior independent living so unique. 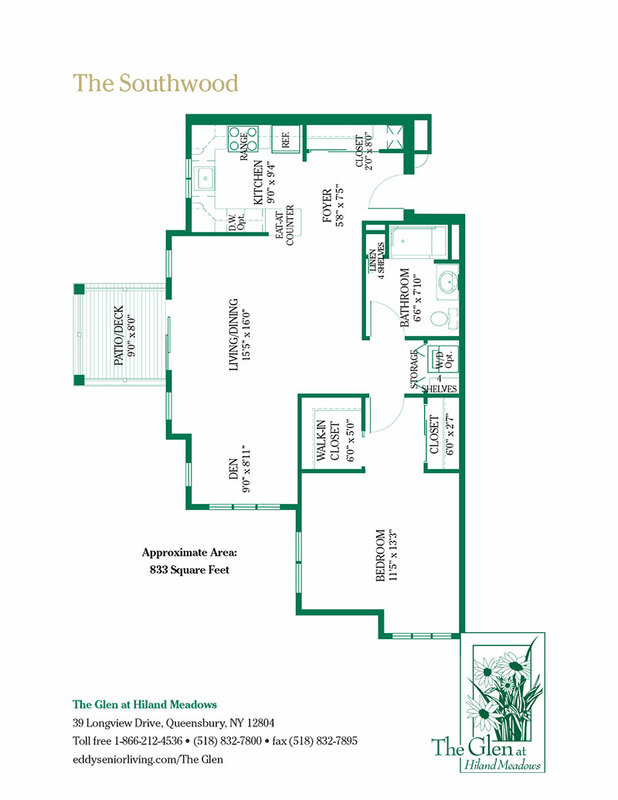 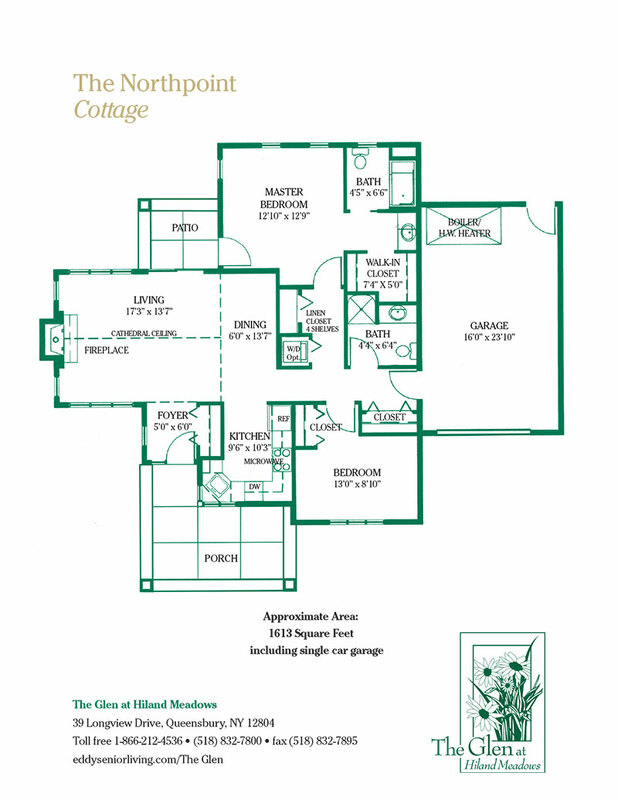 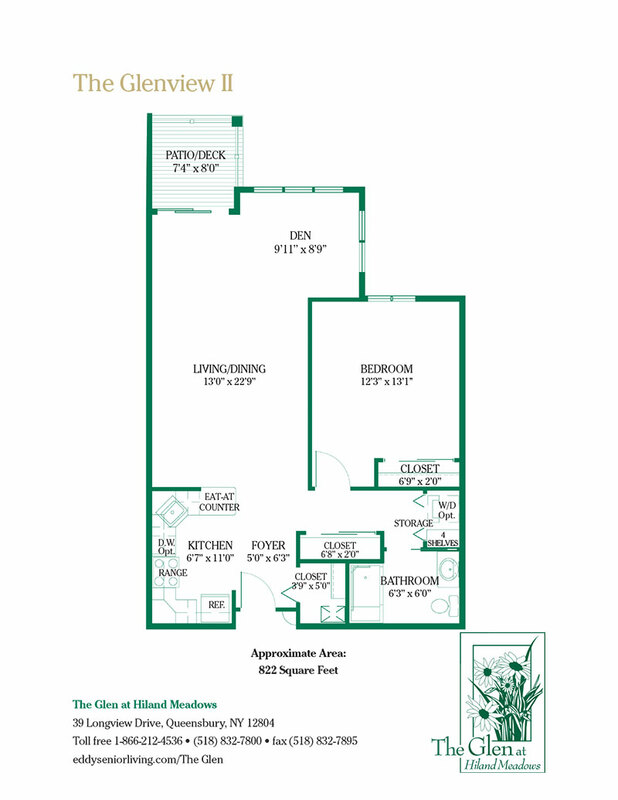 View all Glen at Hiland Meadows floor plans as a PDF.